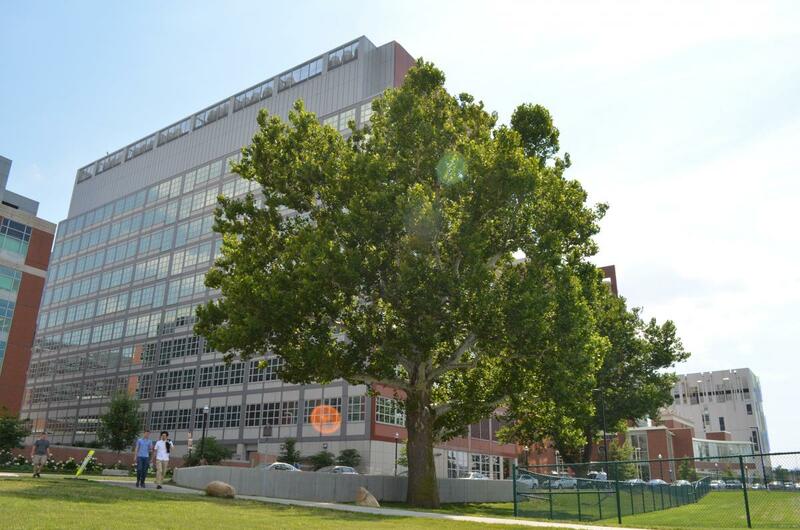 The OSU Campus Tree Inventory was started in 2011 after two large sycamore trees, both close to 60 inches in diameter, were almost bulldozed to build a temporary construction road near the medical center complex. Two employees at the medical center spearheaded an online petition to save the trees, and after collecting over 1500 signatures and discussions with OSU President Gordon Gee, the trees were saved successfully. After this, it was realized that a greater effort needed to be made to protect the trees on the campus of The Ohio State University even as necessary development of campus continues. 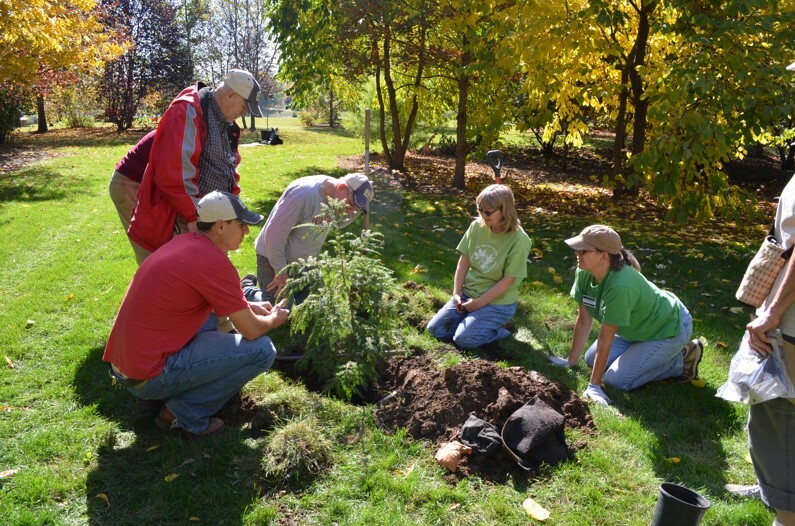 Chadwick Arboretum & Learning Gardens partnered with the university landscape architect to identify and map all of the trees on campus, with the goal of obtaining Tree Campus USA certification from the Arbor Day Foundation. To become a "Tree Campus", a university must have an active tree advisory committee, a campus tree care plan, an annual tree management budget, an Arbor Day observance, and a tree-related service and learning project for students, faculty, and staff. Chadwick Arboretum has stepped up and met these requirements with programs such as ArboBlitz, annual Arbor Day celebrations, and weekly volunteer events with STICKS (Sustainable Tree Inventory CareKeeperS) that allows volunteers and students to work hands-on with Chadwick Arboretum staff to identify, measure, and map trees. Thanks to these efforts, student employees, staff members, and volunteers had mapped, identified, evaluated health, and measured the diameter for nearly 4,000 trees after the first full year of tree mapping. Receiving its first Tree Campus USA certification in 2012, The Ohio State University has continually met the required standards and is still certified today. As of August 2014, over 16,000 trees and woody plants have been recorded on campus and throughout the arboretum. Currently, Chadwick Arboretum uses a two-step system to map trees, using aerial paper maps in the field and updating the digital campus map afterwards. Chadwick Arboretum, in collaboration with the OSU Geography Department, is in the process of developing a mobile application that will allow trees to be mapped instantly through the use of an iPad. This will move the tree mapping into real time and help to keep the tree inventory continuously up to date. Chadwick Arboretum manages our trees through the OSU GIS Maps site, at which the trees can be searched by species, genus, common name and memorial name. Select the magnifying glass on the side toolbar. Select “Trees” as the “Layer” in the dropdown menu at the bottom of the window. Type in the “Search Value” for the desired tree. As you type in the box, suggestions of matching trees will generate in a list. It may be most helpful to finish your entry and hit "Enter". If you select a tree from the list, you are only selecting one tree, whereas typing in “Oak” and hitting "Enter" will highlight all the oaks in the map view. You can also select trees on the map to display the information about the tree. If you are interested in learning more about GIS, visit UCDavis Public Gardens GIS website. The OSU’s GIS is managed by the Facilities Information and Technology Services. For more information please contact gismaps@osu.edu.